Zombie Debt: Help stop the haunting! Marcy Bowers is Director of the Statewide Poverty Action Network. The Zombie Debt industry is largely unregulated and profits off deceptive practices that intimidate people into paying on old debt or “debt” that they might not even owe. Like a zombie coming back from the dead, old debt comes back to haunt consumers. We urgently need your help to pass this bill which regulates Zombie Debt and the predatory practices of debt buyers. Tell your lawmakers to support HB 1069! Call the Washington State Legislative Hotline at 1.800.562.6000 and tell your elected representatives to SUPPORT HB 1069. Got a Zombie Debt story to tell? Contact the Statewide Poverty Action Network at danielle@povertyaction.org. Zombie Debt occurs when companies sell their old debts for pennies on the dollar to third-party debt buyers. Debt buyers then try to collect on old debts or debts that have already been paid (and sometimes never even owed in the first place). Many times, the information is out of date, has already been paid in full, or is assigned to the wrong person entirely. Everyone is at risk to be targeted by debt buyers’ search for profit by using the courts and financial system against the public. Debt buying is one of the nation’s fastest growing industries. It is largely financed by Wall Street and is exploiting the lack of industry regulation to extract billions of dollars from people all over the US. Debt buyers are increasingly taking advantage of state courts by filing lawsuits to collect on the debt they purchase. Unfortunately, these predatory debt buyers are exploiting our courts by using default judgments against Washingtonians when they might not even owe the debt. Debt buyers don’t even know if they have the right person, the right amount, or any real evidence, but they are able to obtain judgments due to antiquated state laws that don’t protect people from deceptive financial industries. One study found that 95% of people with default judgments entered against them lived in low- and moderate-income communities. At a time when struggling families need every penny to survive, Zombie Debt is threatening Washingtonians’ well-being and economic security. TAKE ACTION: WE NEED YOU! Have experience with debt buyers attempting to collect on debt you don’t owe or never incurred? Have you paid high fees to a debt settlement company only to end up in a worse situation than when you started? Give us a call to share your story! Call 1.866.789.7726 or email danielle@povertyaction.org. This legislative session, Statewide Poverty Action Network members worked hard to achieve substantial wins amidst one of the most difficult political climates in recent memory. From holding the line on funding Washington State’s safety net to passing significant consumer protections, we have a full slate of accomplishments we are proud to share. This work is possible because our members took a stand against further attacks on low-income families. This bill allows consumers to keep more money to live on after a wage garnishment. These new protections may allow an individual worker to keep approximately $120 more per month, providing much-needed financial relief. This new law also clarifies that pension funds will continue to be exempt from garnishment, ensuring that seniors and people living with disabilities will be able to use their pensions to meet their basic needs, even during a garnishment. HB 1552 provides much-needed updates to Washington’s garnishment laws, better reflecting the realities of struggling families. Last year, Washington led the way in ensuring that families facing foreclosure would have the right to a mediation process with their lenders. The Foreclosure Fairness Act, which passed in 2011, brought homeowners, lenders and a third-party mediator together to discuss alternatives to foreclosure. HB 2614 builds on the strength of last year’s law by streamlining the mediation process and providing added protections for mediators, as well as for homeowners while they work toward saving their homes and most valuable assets. This bill puts reasonable and fair regulations on for-profit debt adjusters (sometimes called debt settlement), helping to prevent deceptive practices that hurt families who are attempting to regain their financial stability. For-profit debt adjustment is a fringe financial service that has seen rapid growth and change over the last several years. Debt adjusters reach out to people living with debt and offer bold “miracle cures” to help eliminate their debt, but often leave families in financial ruin. Because this industry is growing fast and the impacts in our state are still widely unknown, SB 6155 includes reporting requirements to gain information on the impacts to Washington consumers. This bill increases transparency and accountability in our state’s Temporary Assistance for Needy Families (TANF) program by allowing legislators to make decisions on how TANF is administered. Previously, the Governor’s office made all of the decisions about TANF (also called the TANF “box”), allowing the public few opportunities to provide input on the program or its funding. By moving control of the TANF box to the 149 members of the legislature, SB 6411 provides Poverty Action members 149 opportunities to influence how TANF is managed. Last fall, we launched an aggressive campaign to maintain the integrity of our state’s safety net. Together, our advocacy, paired with real stories from our members, prevented new cuts to TANF, Disability Lifeline Medical, State Food Assistance, State Family Assistance, and the Housing and Essential Needs (HEN) program. And finally, we were able to restore a 2011 cut to Working Connections Child Care. By restoring eligibility to 200% of the Federal Poverty Level (FPL) from 175% FPL, we were able to bring back 1,000 subsidized childcare slots for working parents. Furthermore, the TANF large family cap was restored to the 2011 level, returning full benefits to nearly 2,000 families, including many refugee families. These wins are a direct result of Olympia hearing from our network and could not have happened without their hard work. 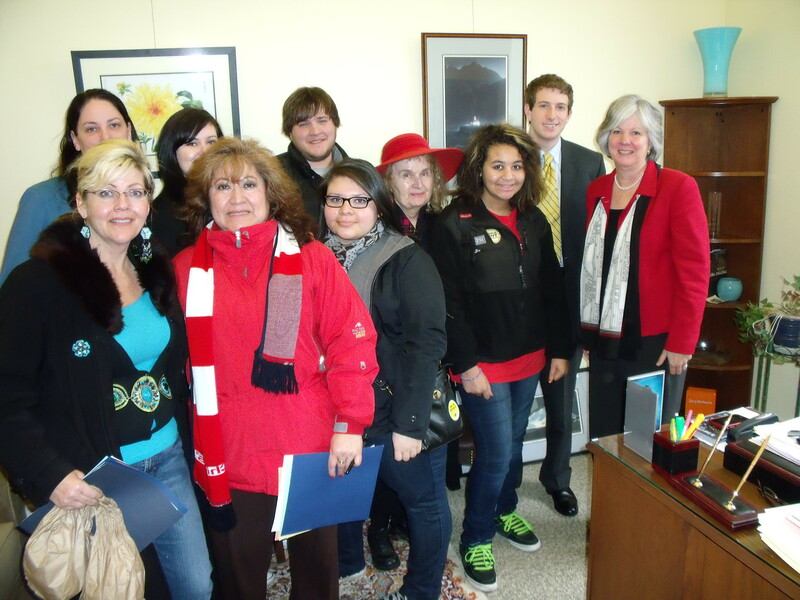 Thank you to all Poverty Action members for helping thousands of families across Washington State. Marcy, Tony, Danielle, Senait, Kate, Julia and E.J. 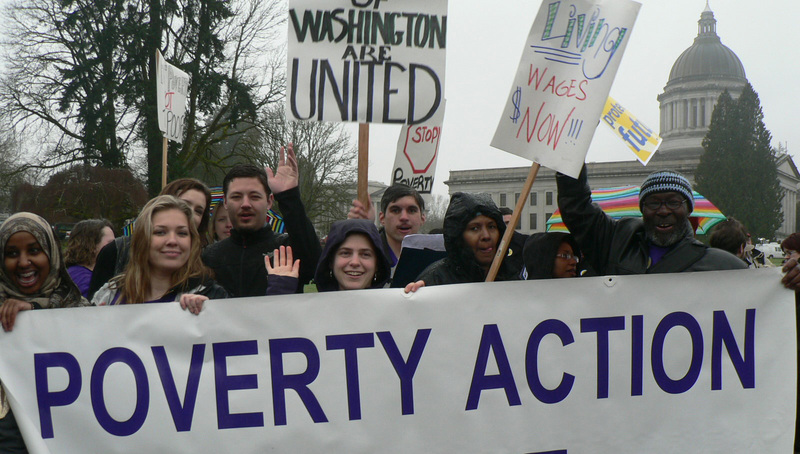 For more information about the Statewide Poverty Action Network, contact us at info@povertyaction.org. Or click here to join our network! These words from Senator Brown came shortly before 1am on Saturday morning after Senate Republicans, with the assistance of three Democrats, took over the Senate floor using an arcane parliamentary procedure and passed a shameful all-cuts budget. The budget passed early Saturday morning is, indeed, incredibly harmful to low-income women across the state. The Senate’s budget makes $202 million in cuts to our state’s Temporary Assistance for Needy Families (TANF) program. This includes an additional 2% grant cut, lowering the lifetime limit to 48 months, and a loss of 4,000 child care slots. • It cuts funding for our state’s struggling families, those who are on TANF, by $202 million. • It eliminates the Disability Lifeline Medical program for 15,000 low-income disabled adults. 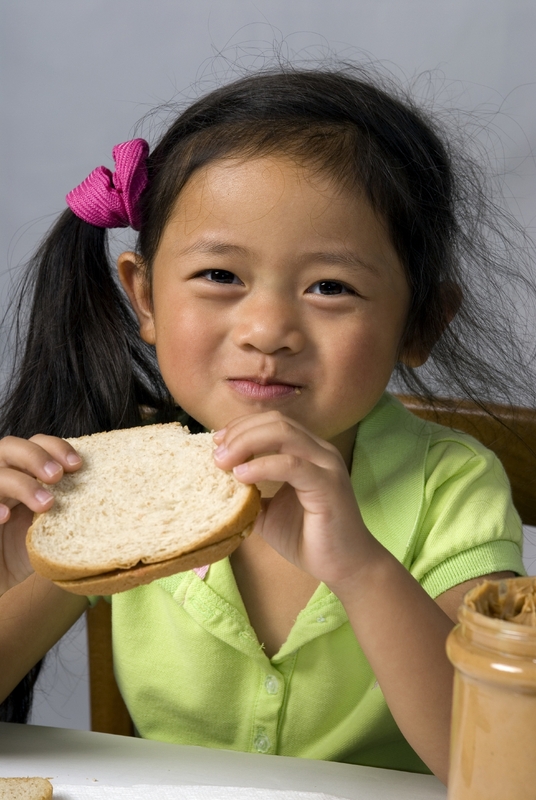 • It eliminates the State Food Assistance Program, which provides food to 12,000 immigrant families each month. • It cuts more than $40 million from the Housing and Essential Needs program. This is unacceptable. This is an attack on our state’s commitment to care for all Washingtonians, regardless of income. 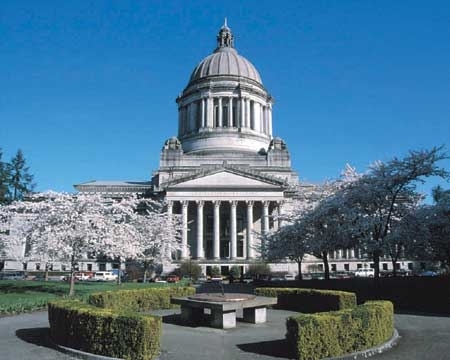 As if that’s not enough, the budget passed by the Senate on Saturday morning directly contradicts the public testimony and presence of thousands of citizens who came to Olympia or contacted legislators urging them to protect the safety net. We still have a chance to make a difference. This budget, while shameful, still needs to go to the House for concurrence. Your lawmakers in both the House and the Senate need to hear from you today. Lawmakers must see these messages everywhere they look: in their inboxes, in their voicemails, and in their local papers. Please take these three actions now! 1. Send them an email and urge them to stand strong for our state’s safety net. 2. 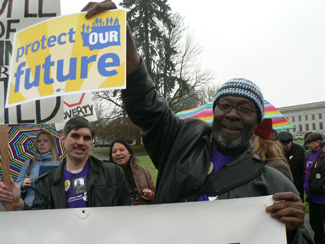 Call them at 1.800.562.6000 and tell them that you support a budget for all Washingtonians. 3. Use our template to send a letter to the editor of your paper in support of low-income women and children, in support of people with disabilities, and in support of our immigrant and refugee communities. Marcy Bowers is Director of Solid Ground’s Statewide Poverty Action Network, which builds grassroots power to end causes of poverty and create opportunities for everyone to prosper. 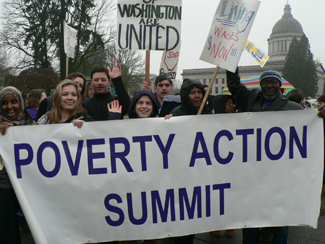 Although I have been a Statewide Poverty Action Network member for many years, I had yet to experience one of the most fun and important events they hold every year: the annual Lobby Day at the Washington State Capitol in Olympia. Traditionally held on MLK Day as a day of service, this year’s originally scheduled event was cancelled due to the Puget Sound area’s Snowpocalypse 2012 – so Poverty Action rescheduled for Presidents’ Day. New and longtime Poverty Action members come together to help "Save Our Safety Net"
Lobby Day is an inspiring combination of community mobilization, education/awareness about the most pressing legislative issues currently affecting people living on low incomes in WashingtonState, and group action. As event photographer (see slideshow below), I got to experience the day in solidarity with people who had some truly moving stories to share – and I participated alongside them as we made our voices heard with our legislators. The day started with a gathering at the Women’s Club of Olympia. The room was packed with both longtime and new Poverty Action members. 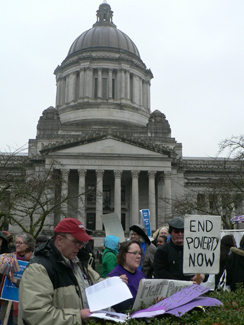 Poverty Action is guided by a Board comprised mostly of people living on low incomes from around Washington State. Board member Ligia Velázquez of Lynnwood and Board Chair David Northover of the Yakama Nation co-MCed the morning’s events, which gave us all a wealth of information from Poverty Action staff and members. Ligia seamlessly interpreted in Spanish as needed to keep the large number of Spanish-speaking attendees in the loop. Executive Director Marcy Bowers fired us up first thing with her State of the Movement Address, giving us a sense of the power of our collective voice. Then Legislative Coordinator Kate Baber gave a “Save Our Safety Net” Briefing, providing background info to help us understand the importance of saving TANF (Temporary Assistance for Needy Families) and DL (Disability Lifeline) benefits. To put a human face to how people who rely on TANF and DL will be impacted if funding for these vital programs is not restored, member Adrienne Karls graciously shared her personal story. A former medical worker who made a decent living, she lost everything to hospital bills following a bad car accident. Disability Lifeline was truly the lifeline that pulled her out of homelessness and helped her regain her dignity. She brought home the reality that any of us might someday need that safety net intact. Throughout the morning, other individual members’ stories grounded our purpose. 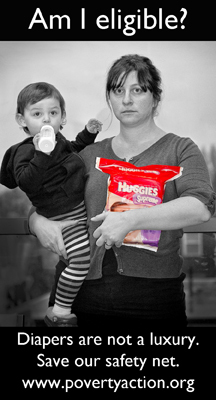 One young single mom described how she had to give up her job when she had a child, because after paying for childcare, she couldn’t afford rent. Thanks to TANF, she has been able to support herself and her daughter and is two months away from completing her AA degree, which will help her qualify for a living wage job. Community Organizer Senait Brown also gave us a Racial Equity Briefing, describing how the proposed TANF/DL cuts disproportionately affect people of color. One Latina member, who had organized a large group of family and friends to attend Lobby Day, stood up and shared how people in her community are suffering from the TANF/DL cuts as well. Next came the beginning of the real action: We broke into groups by our legislative districts, and Campaign Manager Danielle Friedman gave us a quick and dirty training on lobbying. The Spanish-speaking members caucused as well. We shared our personal stories (or those of people we care about) around the importance of saving our safety net, and we crafted talking points to bring up when we met with lawmakers’ legislative aides. We also wrote heartfelt letters and postcards to lawmakers, to be hand delivered later. Fueled by members’ inspiring stories (and lunch), we marched en masse toward the Capitol in our purple “Save Our Safety Net” T-shirts, stopping for a rally at Trivoli Fountain. Our numbers grew as coalition partner groups joined us from all directions, carrying banners and signs reflecting our shared priorities. Undaunted by the misty rain and soggy grass, Poverty Action members and partners danced and chanted and connected in solidarity, pumping each other up for meeting with our lawmakers. The day’s events culminated in an additional short march to the sundial across from the Capitol building, and then legislative district teams set off to drop off letters and postcards at our lawmakers’ offices. Many of us had the chance to deliver our messages directly, using the power of speech and conviction, via face-to-face meetings with legislative aides. Even though I’m very familiar with Poverty Action’s work, the impact of what they do really hit home when I met some of their newest members. One guy who had been brought to the events by a friend confessed to me in the morning that previously, he had no interest in politics. He honestly believed it wouldn’t make a difference if he voted, and despite salt and pepper hair giving away his years, he had never even registered to vote. By the end of this Lobby Day 2012, he had led chants while marching, written letters to his lawmakers, talked with a legislative aide, signed up to be a Poverty Action member – and was scrambling to find out how to register to vote as soon as possible. Now THAT’S showing people their voices matter. That’s Poverty Action IN ACTION. The Statewide Poverty Action Network is part of Solid Ground’s Advocacy Department. Poverty Action builds grassroots power to end causes of poverty and create opportunities for everyone to prosper. They envision a state where people of all income levels fully promote and participate in building the fabric of socially, politically, and economically just communities. For more info and to get involved, visit www.povertyaction.org.